Why Medical Marijuana Patients’ Rights Are Under Attack Across the U.S. Marijuana legalization campaigns vowed to protect medical marijuana rights, but public officials in legal states have been undermining those vows. From Washington State to Washington, D.C., successful cannabis legalization campaigns have consistently promised voters that they would preserve the rights of medical marijuana patients even while opening up access to all responsible adult use. But while campaign leaders have kept their promises, government officials in Washington, Oregon and Colorado have embarked on dishonest — and sometimes secretive — plans to blatantly disregard the will of voters and restrict patient rights. The cruelest and most egregious autocratic fiats have come from the Pacific Northwest, where state legislators have attempted to capitalize on the enactment of popular tax and regulate measures to practically eliminate patient access in Washington and Oregon. Last month, Washington Governor Jay Inslee signed into law a bill which aims to force the state’s patient-run collective gardens into its I-502 adult use program, complete with its famously strict regulations,mandatory 3-tier licensing, and the highest cannabis excise taxes in the country. Under the law, collective gardens unable to meet such stringent rules in a timely manner will be shut down, and indeed the city of Seattle already has plans in the works to shutter 54 of its 99 collective garden storefronts in the wake of the new law. Oregon is on the verge of an even crueler prohibition, as the state senate voted yesterday to approve Senate Bill 964, a crushing bill which would limit the number of plants each patient can grow to only six and — even more outrageously — would count drying and curing plants toward that total. Less absurd but potentially more harmful is another provision in SB 964 which would empower local governments to ban medical marijuana cultivation and access outright, forcing the state’s sickest patients to travel long distances just to access their (unreasonably limited) medicine supply. Worse, SB 964 was passed in flagrant defiance of principles of transparent government, first when the Senate president circumvented the objections of House members Ann Lininger, Peter Buckley and Ken Helm by taking the extraordinary step of moving the bill to a special “Measure 91 Implementation Committee” and then when the committee pushed the bill through without any public comment or debate. To call the body which did this the “Measure 91 Implementation Committee” is both disgusting and ironic, given that its actions directly violate the language of Measure 91 which specifically protects patient access. The Oregon Senate approved SB 964 by a vote of 29-1, with Sen. Floyd Prozanski casting the sole vote in opposition. Even in Colorado, which has won praise from government watchdogs for its effective implementation of the voter-demanded Amendment 64 legalization initiative, the state has moved to curtail the rights of patient caregivers — although the restrictions recently signed into law by Governor John Hickenlooper are not as egregious as the new and pending laws in the Northwest. Under Colorado’s new law, patient caregivers who grow more than 99 plants will be forced to join the state’s Amendment 64 licensing program, complete with its fees, taxes and “seed-to-sale” tracking program run by the state. Supporters of these new restrictions claim that they are necessary to level the playing field. “With I-502, you have a tightly regulated business that has to make a big investment and pay taxes and fees,” Rick Garza, head of Washington’s Liquor Control Board, which is charged with implementing legalization there, told Mashable.com. “You have this unregulated and untaxed dispensary that’s competing directly with the regulated market.” Big-government advocates have made similar arguments around the country, pointing out that the high-tax, high-regulation model of legalization won’t succeed if consumers can simply opt for the low-tax, lightly regulated medical program operating in parallel. That may be true, but it doesn’t change the fact that this is not what voters wanted. By pushing these laws through, autocrats like Oregon’s Ginny Burdick have demonstrated to the world that they believe they know what’s best for voters — more so than the voters themselves. Fortunately, trend lines are beginning to emerge which provide hints at how voters in the next 46 legalizing states can do better. In Alaska, Washington, D.C., and Colorado, provisions are in place which seemingly prevent (or, in the case of Colorado, at least limit) the worst outcomes of the government drive to eliminate medical access. In Alaska (which legalized adult use of cannabis last year, along with Oregon and Washington, D.C.), state judges have consistently ruled that the state constitution’s guaranteed right to privacy means that the government may not interfere with the rights of adult residents to grow and use cannabis in their own home — a provision which should protect at least some patients in the event that similarly restrictive laws travel that far north. Colorado’s Amendment 64 also contains a provision which authorizes adults to give away cannabis for free without being subject to state regulations — which may prove a grassroots check on big-government power before too long. 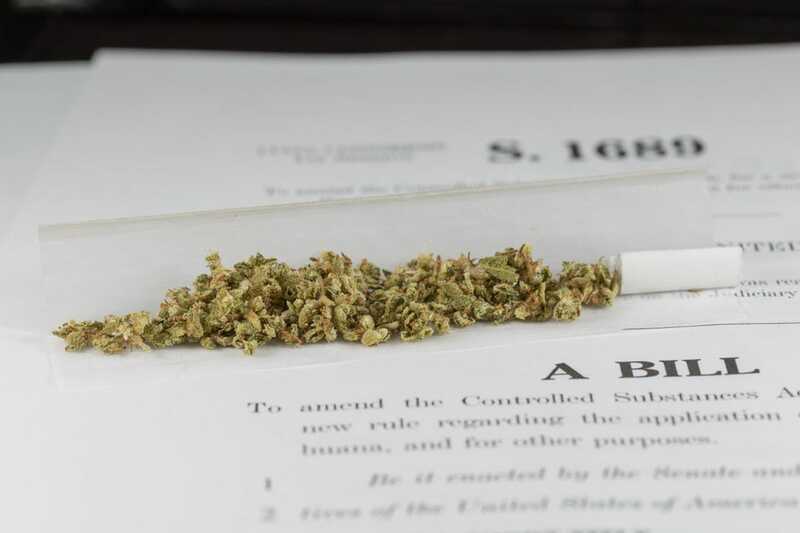 Last but not least, Washington, D.C. residents now enjoy similar rights to give cannabis away, deriving from the noncommercial nature of their initiative and — ironically — a mean-spirited vote from Congress which prevents any regulations from going forward. There is still time to turn the tide. While Colorado and Washington’s new policies have already been signed into law, there are still opportunities to defeat Oregon’s SB 964 — all concerned activists should follow this link to flood the inboxes of Oregon House representatives demanding that they preserve patient rights. To do otherwise, it would be good to remind the politicians, would be breaking the law. Jeremy Daw is the editor of TheLeafOnline.com and Cannabis Now Magazine, and the author of Weed the People: From Founding Fiber to Forbidden Fruit (2012).